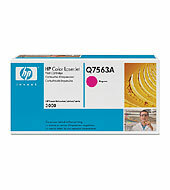 Count on HP printing supplies to provide outstanding results, every time you print. New HP ColorSphere toner produces fast, brilliant results from monochrome text to realistic images. Consistent, reliable results are easy with intelligent HP printing supplies that are finely tuned with HP's new toner to optimize quality and reliability and facilitate convenient, online ordering.# Hassle-free results mean higher productivity and that lowers your overall costs of printing. Count on HP printing supplies to provide consistently outstanding results, every time you print. From sharp black text to brilliant color, with new HP ColorSphere toner enjoy the quality and reliability of HP Color LaserJet printing technology. Quick, easy, more productive. New HP ColorSphere toner enables fast, high-quality printing. HP Smart technology in HP supplies interacts with the printer to consolidate needed supplies into a single order. You choose the reseller and order online.